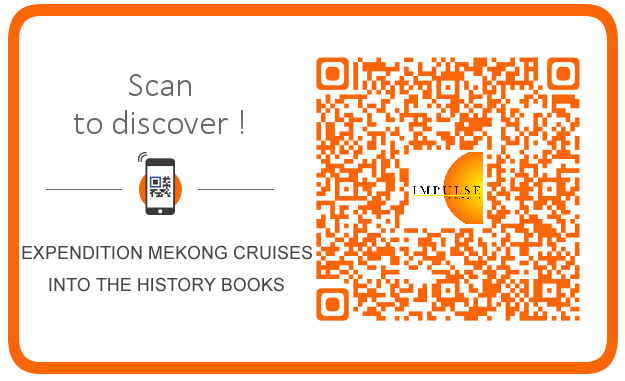 Expedition Mekong cruises into the history books. 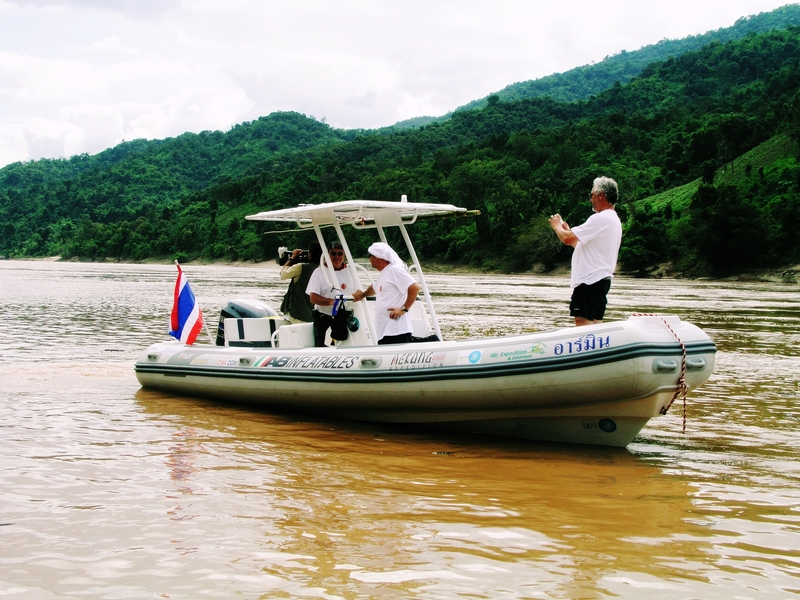 Diethelm Travel made history recently when it successfully completed "Expedition Mekong", a hovercraft journey from Jinghong in Yunnan, China to Ho Chi Minh City, Vietnam. While the project has not translated into a commercially viable product, organisers believe it underscored what is possible with unity and cooperation between the six Mekhong countries. Shadowing the trail of 19th Century French explorers, Diethelm Travel's "Expedition Mekong" arrived in Ho Chi Minh City in November completing the historical 2,900km journey by hovercraft from Jinghong in China's southern Yunnan province to Ho Chi Minh City in the Mekong Delta. After a number of delays and more than two years of preparation, Diethelm Travel has achieved what it set out to do: Navigate the Mekong river through all six countries of the Greater Mekong Sub-region (GMS), a project many critics thought would never leave the drawing board. "Well, I think the the fact speak for themselves," said Armin Schoch, group general manager of Diethelm Travel and the expedition's leader. 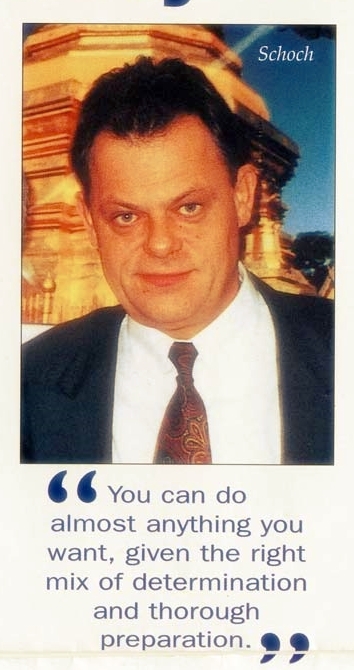 "You can do almost anything you want, given the right mix of determination and thorough preparation." But success, he acknowledges, has left him breathing more easily. "I'm relieved but also elated that we pulled it off. It's been a fair incredible amount of work as far as all the logistics are concerned, and of course, there's been a fair deal of anxiety as to whether or not we could actually achieve our goal-particularly with regards to bringing the hovercraft around the waterfalls." At the Khone Phapheng falls in southern Lao PDR, the 8.8-tonne hovercraft was lifted out of the water by crane and transported 20km by road on a flatbed trailer to Veung Kham, a village below the falls, where it was placed back in the river to continue its trip onto Cambodia. "Despite careful planning this had never been done before, so there was always a chance that some unforeseen problem might slow us down." As luck would have it, the ramp dug into the riverbank had to be hurriedly relocated after a band of armed Khmer soldiers claimed it was in their territory and brandishing their Kalashnikovs, refused to allow the hovercraft access. Then, while returning the hovercraft to the water only metres from the old location, there was a tense moment when it slid partly off the dirt slope and became stuck. Using only rubber tyres and sand the ramp was built up, and with the assistance of locals, the team was able to pull the hovercraft back from disaster and into the water. "That was an anxious time because we were already on our way down the river when they telephoned me about the problem and for a while we didn't have a place to put the hovercraft back in the river," said Schoch. But while Diethelm's epic journey has achieved its target in geographical terms, criticism within the travel industry that the project would not be commercially viable has ultimately proven to be the case. With a ticket price of more than US$7,000 per seat, and a less than successful promotion campaign, Diethelm was left with only two paying passengers and a larger than expected deficit. The situation was frustrated further still by the Bali bombings only weeks before the November 2 launch date, which saw an Australian television crew withdraw its participation in the scheduled return trip to Jinghong, forcing Diethelm to send the hovercraft home with just a skeleton crew. Schoch is the first to accept that it's been a learning experience. "Where I was probably too naive is that I thought we could do an expedition like this with practically a full house-full-paying clients-and in hindsight we have been extremely lucky that the trip wasn't like that. As it turns out, there has not been a real commercial objective to this venture-and although breaking even or making a small profit would have been nice-I am happy that the expedition did not remain totally focused on commercial gain." Even with 15 full paying passengers, Schoch says profit margins would still have been slim. "Commercial success was never the sole aim of the expedition. What we must look to now is the benefits we've gotten from this exercise for the GMS. It has been a demonstration of unity, cooperation, and willingness to cooperate among the six GSM countries, and in that respect, Myanmar and Laos have been outstanding examples. "It's also been an important experience on a personal lever-increasing awareness of what the Mekong river is, where the potentials lie, and where the dangers are, or are not." 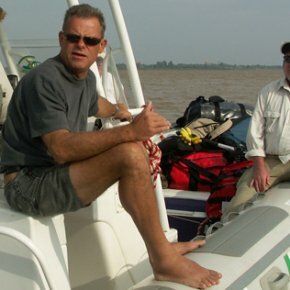 Peter Brimbles, CEO and President of Policy Research of the Brooker Group, the other core organiser, emphasised that one of the purposes of the trip was to clearly illustrate to the GMS countries that the river is now a facilitator-rather than a barrier-to the flow of goods and people. 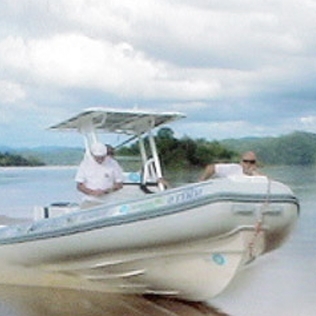 "The purpose of the expedition was not to exploit the river or the regions through which it flows. Rather, it reflected the deep commitment of the people involved in this project to ensure the preservation of the river while exploring the potential to enrich the lives of the communities that share in its bounty." While Diethelm does not intend to repeat the full 2,900km journey, Schoch said the company would look carefully into the viability of offering hovercraft tours between Jinghong in China and Luang Prabang in Lao PDR. 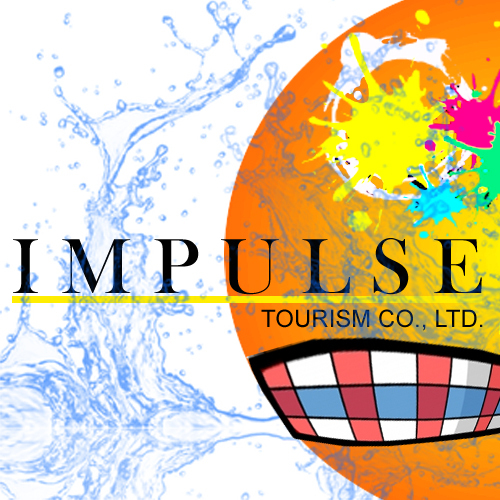 "First I would like to do a proper analysis of the trip-I need to evaluate exactly where the costs lie. 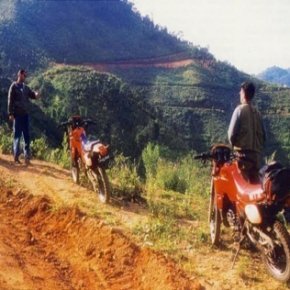 Atour, say from Jinghong to Luang Prabang and back again, it definitely a possibility. 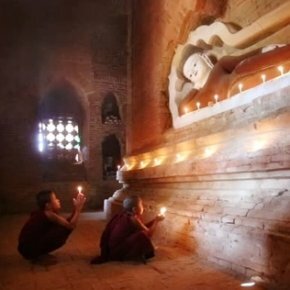 "I don't see us offering this before winter 2003/4, but given the right promotional support through our confidential tariffs, mailings etc-then I could see us in the future offering six tours in the winter season -Jinghog to Luang Prabang and back again." Along the way, those on board were met with enthusiastic welcomes from locals keen to get a glimpse of the strange "boat" which could mysteriously float over sand banks and rapids. "At almost every location we received a warm welcome from locals and officials. The Expedition Mekong really brought different nationalities together both at the organisational level and at the places we visited-demonstrating the potential for tourism cooperation in the region. 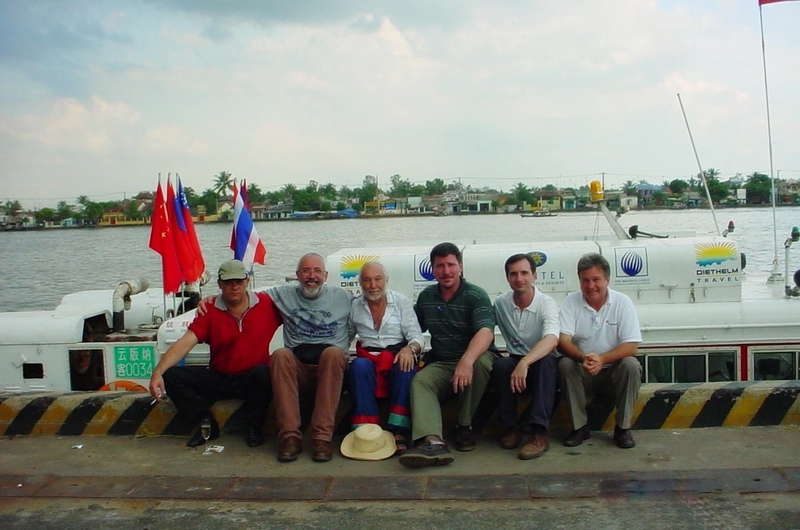 We hope the expedition will be remembered as an example of what can be achieved among countries working together,"
leader, pictured with core members of the 'Expedition Mekong'.